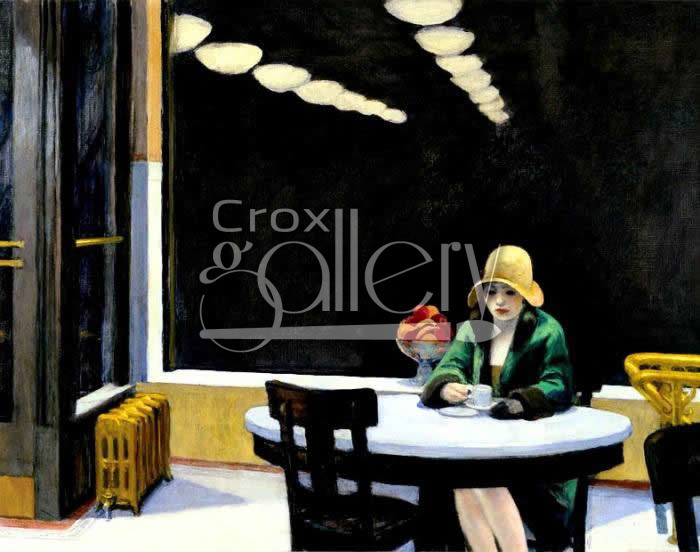 "Automat" by Hopper, Urban Art, Oil Painting Reproduction. 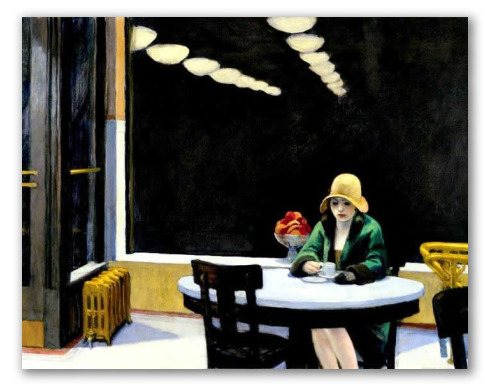 Edward Hopper's "Automat" features an urban setting. It depicts a woman inside a coffee shop in front of a window, through which the lights of the city can be seen at night.